– You know those days when you get the mean reds? – The mean reds. You mean like the blues? – No. The blues are because you’re getting fat and maybe it’s been raining too long, you’re just sad, that’s all. The mean reds are horrible. Suddenly you’re afraid and you don’t know what you’re afraid of. Do you ever get that feeling? – Well, when I get it, the only thing that does any good is to jump in a cab and go to Tiffany’s. Calms me down right away. The quietness and the proud look of it; nothing very bad could happen to you there. If I could find a real-life place that’d make me feel like Tiffany’s, then… then I’d buy some furniture and give the cat a name! But anyway. 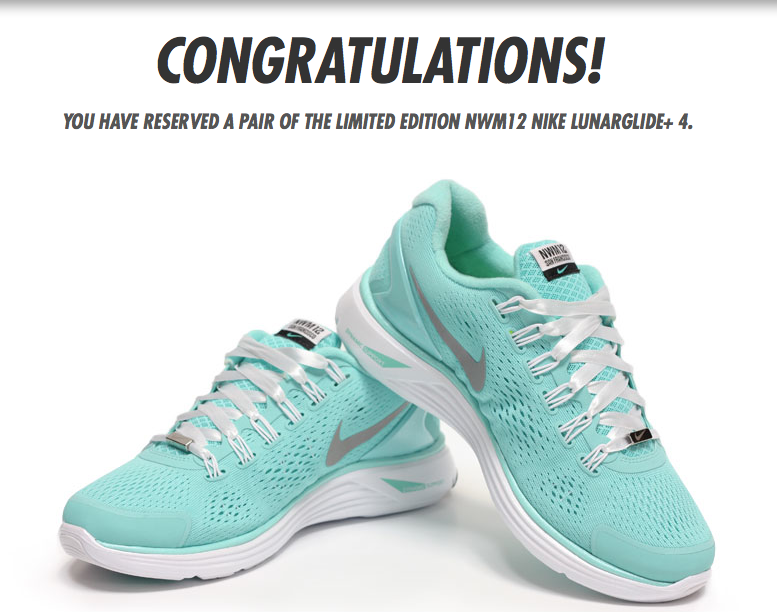 Tiffany’s has been on my mind all day today – oh, who am I kidding, all week – because, you see, today I had an appointment at Niketown to pick up my new, limited edition NWM LunarGlide+ 4 kicks. Oh, Nike. How you’ve parted me from $162.75… yet how giddy you have made me. 1. Laying down $150+, twice a year, wasn’t agreeable with my budget. 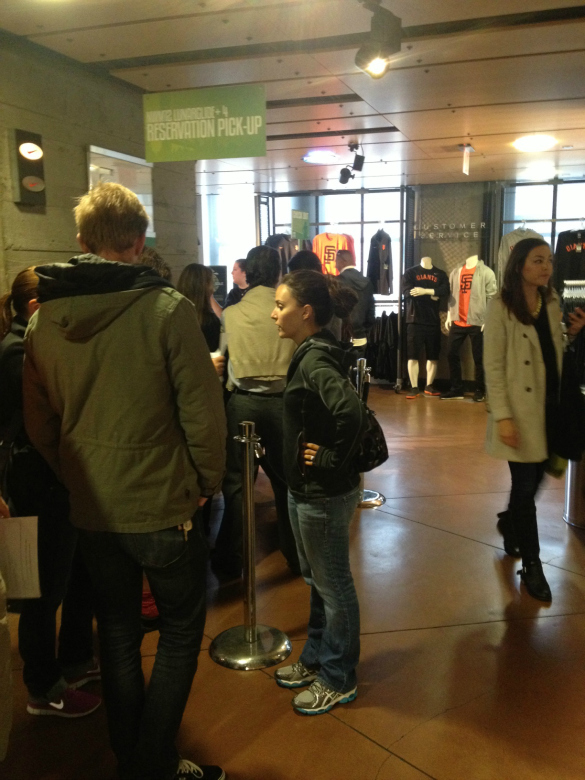 Especially when cheaper, better-fitting options were available in specialty running stores. 2. I disliked how the sales people at Niketown (NYC) seemed to just want to slip the most expensive shoe on my foot, regardless of my stride, the height of my arch and all that’s taken into consideration when you go shoe shopping a specialty running store. 3. A kind man at the Super Runners store in New York City (89th and Lex) found me my pair of Sauconys, and I have never gone back to another brand. Bless him. I buy the exact same kind each year, and always the previous year’s model, which saves me at least $30. Usually, I pay $75-$85. 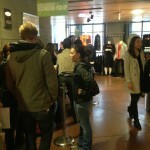 So why even go to Niketown? You mean, besides the obvious? First, as mentioned earlier, I’m a sucker for Tiffany blue. 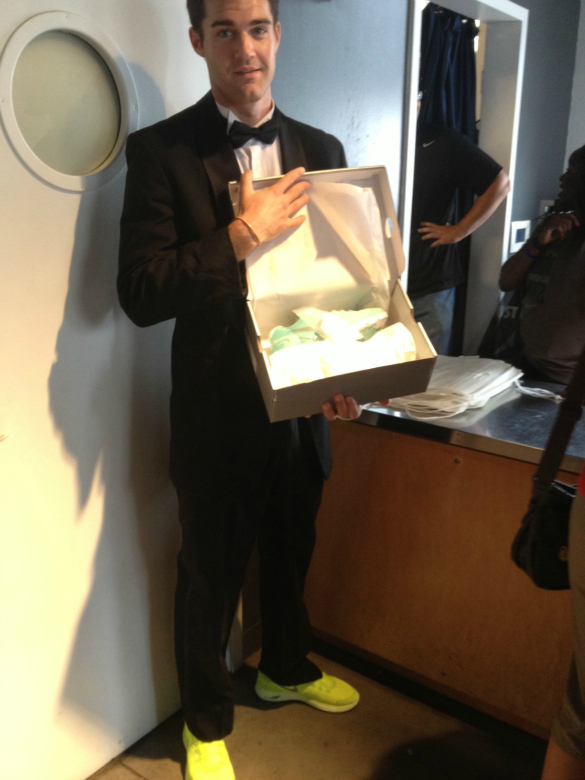 Preferably, when it comes in the form of a box, with a white ribbon and a li’l somethin’ in there that blings. But a shoe? With a silver charm? In all seriousness, I have no plans to run in these. And it’s not just that I don’t want to make them dirty (which I don’t). I have always said that the number one rule of buying running shoes is Do not choose based on the color or coolness factor — and I stick by it. These shoes were made for walkin’, friends! 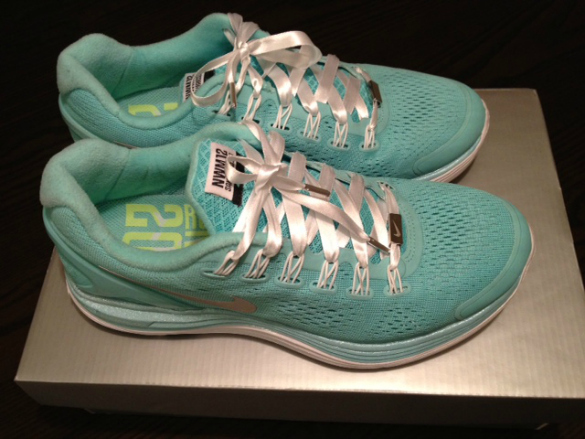 But I do confess to falling prey to Nike’s marketing genius. Never thought I would, even when their neon green Olympics shoes became all everyone talked about this summer. Here’s what happened. 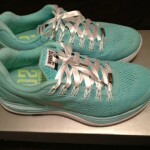 On October 1, Nike introduced these limited edition NWM12 LunarGlide+ 4 babies on the Nike Women’s Marathon Facebook page. 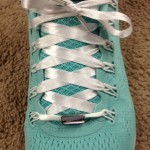 Immediately drawn in by the color and white-ribbon laces, I clicked on the photo, only to find out the shoes will only be sold to registered Nike+ members. 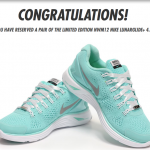 Well, it’s your lucky day, lady, cause I am a registered Nike+ member, even if my running app of choice is RunKeeper. I’ve also already seen the complaints start pouring in about their color (the rubber is “seafoam” color rather than Tiffany blue, according to one Facebooker). I honestly don’t know what they expected, spaceship shoes? Platinum and diamonds? I find them beautiful. 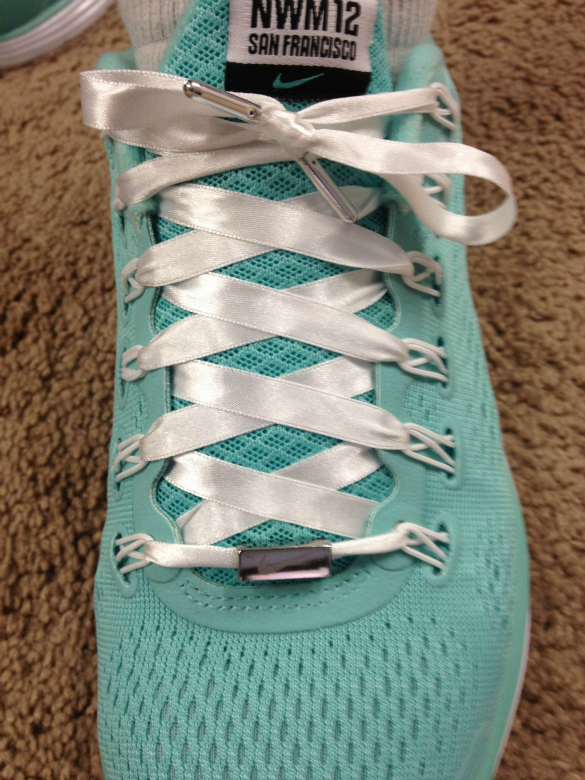 partner with one of the most iconic brands in this country and build its well-known color/white ribbon combination into a running shoe. One with a silver pendant attached to the lace, to boot. I say, well done, Nike. Well done.